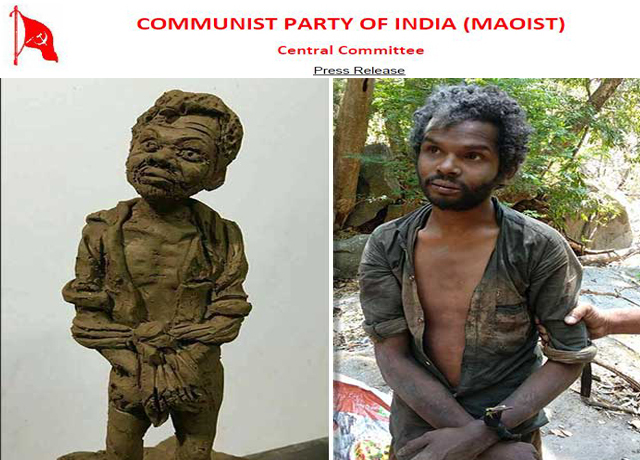 CPI (Maoist) has issued a statement calling for protests against the lynching of tribal youth Madhu in Attapadi. The statement issued by party spokesperson Jogi on Monday said the incident reflects the cruel racist onslaught by Malayalis against the tribal community which must be resisted by all progressive forces. The statement by the Western Ghats Special Zonal Committee of the CPI (Maoist), which was dropped in news boxes of Wayanad Press Club, alleged that hundreds of tribespeople had been murdered in the tribal regions of the state, including Attapadi. ʹThe incident has exposed the real retrograde face of the Kerala society which boasts of being a progressive society. We call upon all the sufferers to rally together to resist those who perpetrate racial onslaught by beating to death even those who are starving,ʹ the statement said. It added that the death of Kandan, of Chelad Colony at Pookotumpadam in Nilambur at the Kozhikode Medical College Hospital last week following alleged denial of treatment was yet another example of the racist mindset of Keralites. ʹMainstream political parties in the state, including the CPM, which nurtures a culture of political killings and tramples on human rights, have been trying to portray such atrocities against tribespeople as chance events. It is nothing but an attempt to whitewash the recurring attacks against the tribal community,ʹ the statement added. ఇంతలో అక్కడికి వచ్చిన ఓ ఏడేళ్ళ బాలుడు. ʹఈ అంకులే అందర్నీ కొట్టాడు , మర్నాడు పేపర్లో కూడా ఈ అంకుల్ ఫోటో వచ్చిందిʹ అని ఆ ఐపీఎస్ అధికారి వైపు వేలు చూపిస్తూ న్యాయమూర్తికి చెప్పాడు. ఊహించని ఆ బాలుడి సాక్ష్యంతో ఒక్క సారి షాక్ తిన్నఆ అధికారి ʹనేను కొట్టానాʹ అని ఆ బాలుడిని ప్రశ్నించాడు. వెంటనే ఆ పిల్లాడు అవును నువ్వే కొట్టావు అని మరింత గట్టిగా చెప్పడంతో..